Remember the days when VH1 had those really awesome "Behind the Music" shows? Remember when MTV actually played music videos? ...I don't know, naming this post has sent me back to the 90s haha. Anyway! A few weeks ago those uplifting, warmth-inducing awards we all know and love made the rounds again, and I feel so lucky to have been nominated by three different, amazing bloggers who make my feed so entertaining and inspiring! 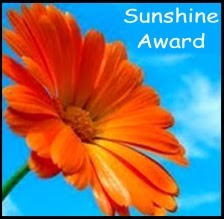 Courteney at Runner Girl nominated me for the Sunshine Award, given to bloggers who are inspiring, creative, and positive! I have been making a concentrated effort to be as positive as possible since my rut in January of last year, so being recognized makes me feel like I've been doing a pretty good job! For the Sunshine Award, I'm supposed to share 11 facts about myself; as you'll soon see, I've got plenty of questions to answer from the other award, so I think I'll double up on those! Jessica at Run Your Mutt Off and Heather at Girl Goes Running both nominated me for the Liebster Award. This award is meant to promote new bloggers; Liebster is German and can be translated to mean dearest, lovely, and valued. What a sweet award! 1. What is your favourite distance to run? Okay, first of all, I love that Canadians use the British spelling of words. I think my favorite distance for running is 5 miles, but for racing it's the half marathon. It's just the perfect distance for a real challenge that leaves you feeling that you've really accomplished something! 2. When did you start running? In 2009! It's the only New Year's resolution I've ever kept. 3. What is your favourite brand of running shoe? Asics. I really love my Kayanos, but I love trying out new brands all the time. 4. Solo Runner or Buddy Runner? I used to need a buddy to stay motivated; learning to keep myself accountable has been a huge accomplishment to me. But I still love running with other people! 5. Favourite post-run snack? Chocolate milk. It's pretty much the only thing I can stomach after a run. 6. What made you start blogging? I wanted to keep myself more accountable. Blogging has been such a great gift. 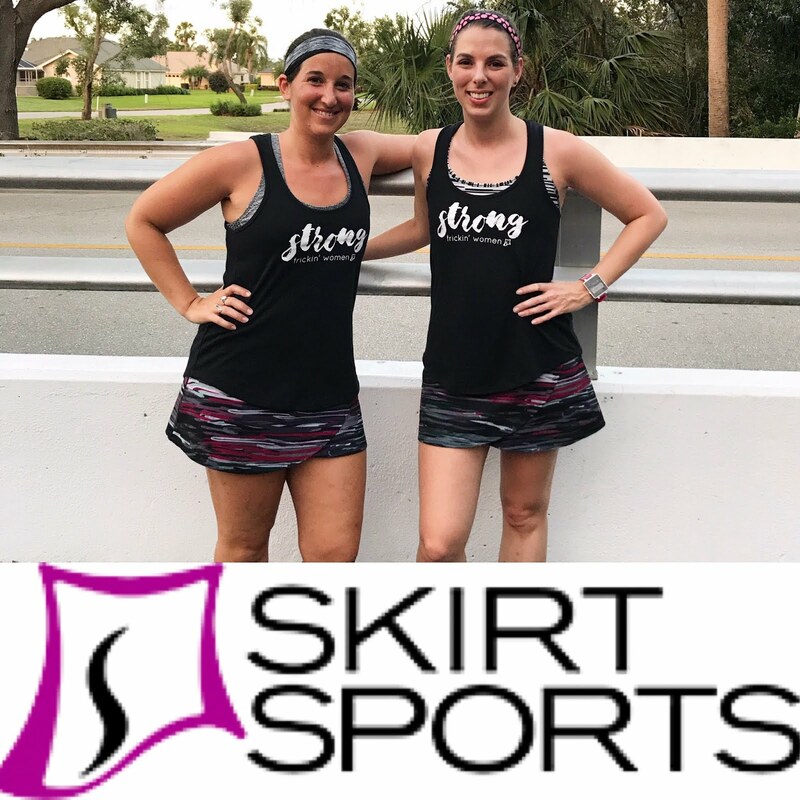 I love the blogging community, it has helped me reach out to friends and encourage them to begin running, and it has definitely helped me stay on track! 7. Do you have a pet? If so what kind? I've got little Archie, of course! 8. What is something not related to fitness that you think others don't know about you? This is a tough one. Um, I love science! I think biology and physics are beautiful and simply awe-inspiring. 9. What is your favourite TV show? I have a whole list! Shamefully, I watch Real Housewives (but only certain cities). I also love Community, Suburgatory, Bones, and The Daily Show and Colbert Report. 10. What do you do with your race bibs? I keep them on the medal-holder I made for myself! I seriously need to take an updated pic...I'm in need of new hooks I've accumulated so many medals lately! 11. What is a pre-race ritual you have? Coffee, breakfast, 5+ bathroom stops. Then, at the starting line, I jump up and down like I'm on a pogo stick. 1. What is your favorite race you’ve run, and why? My most recent half, probably, because I signed up alone and did most of my training alone. I learned a lot about myself in this race. It wasn't a PR, but I had more fun and felt more positive than in any other race I've run! 2. Who is your biggest supporter/fan? Definitely my husband. He cheers me on at 98% of my races, and even runs some of them with me. He would have a right to complain about how much money I drop on running clothes, shoes, and races, but he always encourages me to trust my instinct and get what I want/need. 3. What is your favorite piece of running gear? I looove my new Nike spandex shorts. They're so comfy and have a pocket, which is hard to find in spandex! 4. What is your tried-and-true pre-race meal? Dinner the night before is either sushi or spaghetti with meat sauce, hands down. Breakfast is a banana, peanut butter and honey toast, and coffee. 5. Have you met any of your twitter/blogger friends in real life? If so, when & where? I've met one of my blog friends from BEFORE blogger...I'm talking the days of Livejournal! She came to my wedding, and I can't wait to return the favor and go to hers in October this year! 7. Tell me the most memorable thing about your wedding or someone’s wedding that you’ve attended. 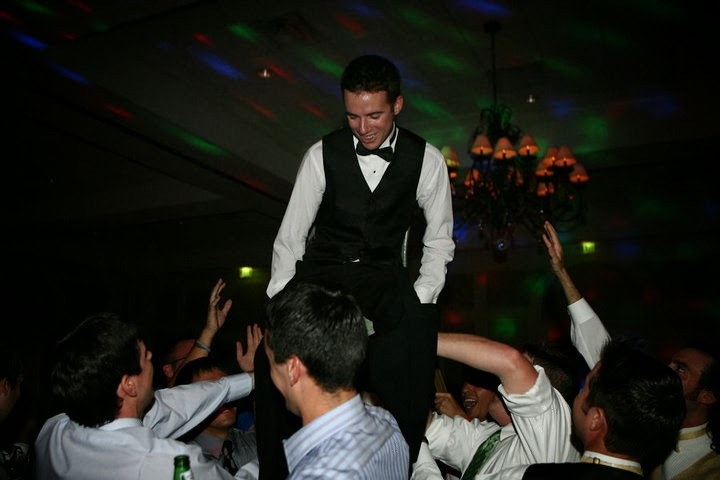 A friend of ours surprised us by requesting the Hora from the DJ. We hadn't planned to do it, but it was so fun, I know my family loved that extra Jewish touch, and it really made the night special. 8. If you were stranded on a desert island, what 3 things could you not live without? Carmex, my kindle (and WiFi so I'd never run out of books and music), and Matt. 9. What is the last book you read? I just finished Hollow City by Ransom Riggs. If you liked Miss Peregrine's Home for Peculiar Children, I highly recommend it. It's truly awesome to me that the blogging community can really bring people together. I hope to be able to run with all these far-away friends someday! The only thing I hate about these awards is having to choose just a handful of people to share them with. So many small blogs have so much to offer! Comment below with a synopsis of you blog and the URL...I encourage everyone to check out a blog that's new to them from the comments! Did Matt go to FIU?? I went to FIU for a year before transferring to FAU (hoot hoot, go Owls). Matt's brother went to FIU; he needed the sweatshirt and I guess it was handy lol. My sister is at FAU right now getting her master's! It's definitely one of my favorite photos! Your wedding picture is awesome. :) ps. I almost nominated you for that Leibster award too but I didn't think it was "new" enough to count!! Then you would have had 33 qs to answer!!!!! I wonder what the record for questions answered for these awards would be?! I loved these questions! I love learning about bloggers!!! I have to agree that the wedding picture is gorgeous! I love your dress! Ah, you're the sweetest, as usual! I love wine and pizza!!! Super beautiful picture of you from your wedding!! I feel like wine could class anything...it goes with everything! I love when bloggers do these questions because I learn so much! 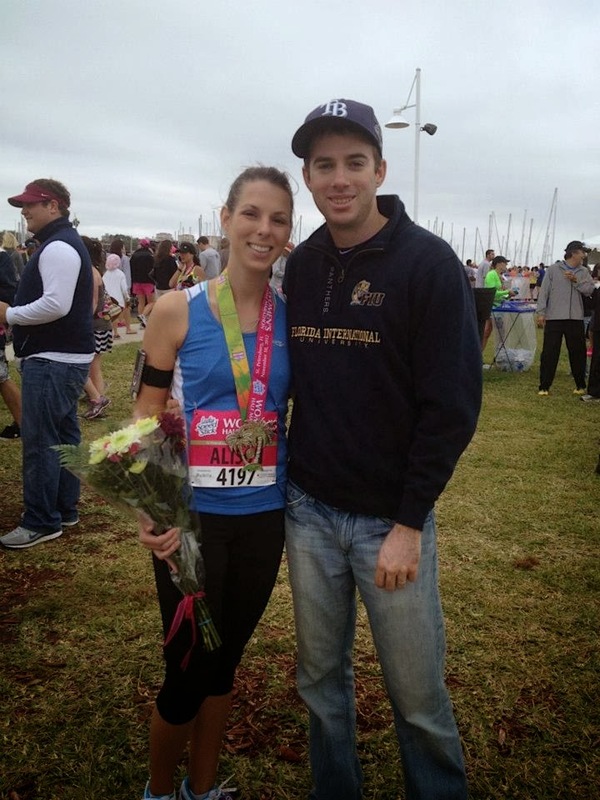 I really love that your husband is so supportive of you and your running. Mine isn't and it makes such a HUGE difference. 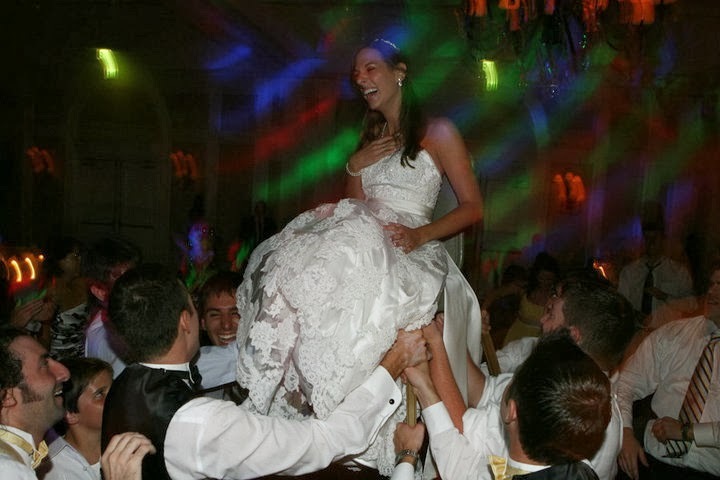 Love the pics from your wedding and I would be hard-pressed to pick a favorite book too!! I was lucky that Matt was supportive from the start, but coming to a couple races is what really won him over. It helped him see how much running means to me. I agree with VITA....having a supportive partner makes a huge difference. You have been a very positive influence on my running journey and am thankful that I found your blog....keep up the great work!!! I'm humbled by your kind words...I'm glad I found your blog, too!! I love learning about the people behind the blogs! I also love that medal holder you created. I have mind hanging off the side of a bulletin board...boring! Oh man I could never do sushi the night before a race. I had a bad experience...twice. :( I love running with a buddy too, but often I can't arrange it so mostly I train solo. I used to keep my medals at work for the kids to see, but now I have too many! I found that they really loved watching my collection grow, though! I agree - posts like this are a nice way to get to bond over more than just our love of running! Wow, I'm so glad you participated by answering all my questions, and so impressed that you answered two sets of questions! Just want to tell you that Archie is adorable! And I love you couldn't pick a favorite book :) It's really fun to get to know more about you! It was super fun, and I'm so glad you nominated me!! Archie has a way of convincing non-bird lovers to love birds!